Over the last 10-years of operating mybeerbuzz.com, I’ve had numerous opportunities to deal with swag. 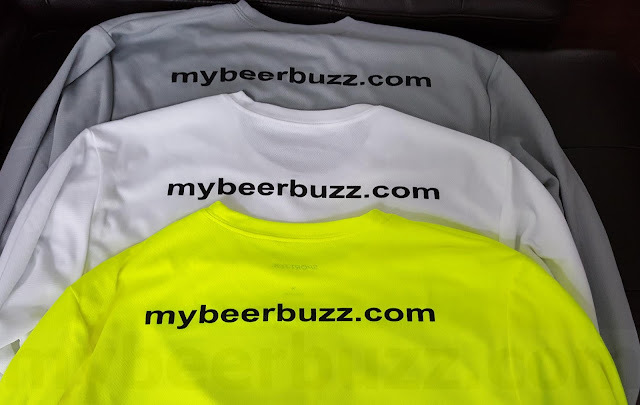 Sometimes I receive promotional items from breweries, and sometimes I’m giving out mybeerbuzz swag at events and for contests…so I’ve seen it all. I can’t tell you how many hours I’ve spent designing mybeerbuzz shirts and how much money I’ve spent on bad shirts and bad designs; and also how many cheap shirts I’ve received. Thankfully that all changed when I started using Create A Shirt. Create A Shirt is a company that specializes in custom printed shirts, but it doesn’t end there. Their cool online designer tool allows you to ad text, clipart (10,000+), your own images and more; and even work with layers in your design. The shirts are custom screen printed with your design on the front and/or back and the design staff can even lend you a hand if you’re not sure how to do it on your own. The website allows you to see your designs on the actual shirt you’re ordering and in the actual colors you’re ordering. This will help avoid some of the pitfalls of shirt design (like printing black letters on a black shirt.) The design tool even allows you to add team shirts with custom names, numbers and sizes for your whole team (a very unique option). I’ve also done a fair bit of comparisons and I can tell you that Create A Shirt has some of the best pricing I’ve seen for single shirts as well as higher quantities. I was also pleased to see that the shirts were name-brand and not some tissue-thin cheap shirts that I’ve seen on other sites. They feature brands like Hanes, Gildan, Sport-Tek, Fruit Of The Loom and Anvil to name a few. In Men’s T-Shirts alone they offer 56 different choices of shirt brands/types, and construction from 100% polyester to 100% cotton and everything in between. Some shirts have over 50 color choices and most offer sizes from Adult Small to 6X (and even tall sizes). If that’s not enough to convince you, Create A Shirt offers 10-types of T-Shirts, 6-types of Hoodies, 9-types of long-sleeve shirts and even 5-types of tank tops. 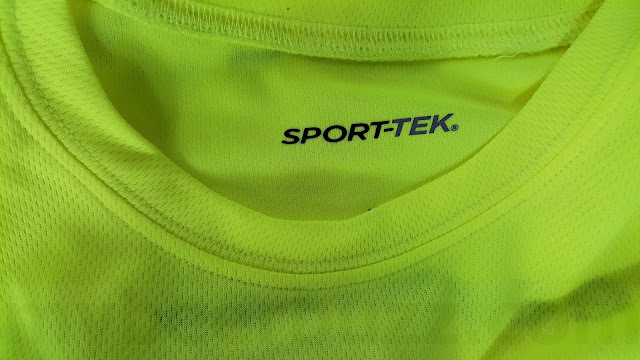 The team at Create A Shirt hooked me up with their Men’s 100% polyester long sleeve Sport-Tek shirt and I can’t tell you how much I like them. As a runner, this shirt is ideal. The seams don’t don’t chafe, the fabric is lightweight and moisture wicking and overall the shirts are very comfortable and really breathable. As a hiker I appreciate the same qualities that the shirts offer for running with the added benefit of sun protection on my arms. I can also say these shirts fit well, they look great and they hold up. I’ve logged multiple miles (and washings) on several of my shirts and they clean up well and look almost new. Add in the cool mybeerbuzz.com logo on the back and the cool neon yellow color for visibility and I already have people asking me how they can get one too. Of course I tell them Create A Shirt! 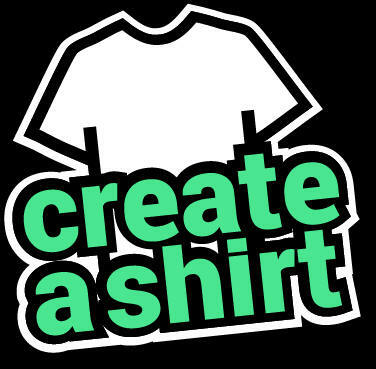 The team at Create A Shirt have no setup charge, fast shipping, no minimum orders, design help, cool templates and lots more! Be sure to check out their website and you’ll be amazed at how many choices there are. Sports teams, family reunion, fundraising shirts or even creating your own custom fashion statement, Create A Shirt has you covered. If that’s not enough fun, they also have a weekly contest called Free Shirt Friday where they pick a customer-design winner every week LIVE….so get out there and try it for yourself, and when you do, be sure to let us know what YOU think.